VIZAG: Star India, in association with the BCCI, turns the spotlight on women once again. The ‘Nayi Soch’ campaign – in collaboration with the BCCI – with the cricketers wearing their mother’s names on their jerseys has struck a deep chord with all sections of society. Several have wondered and hoped that the team would wear their mother’s names on their jerseys for an actual match. 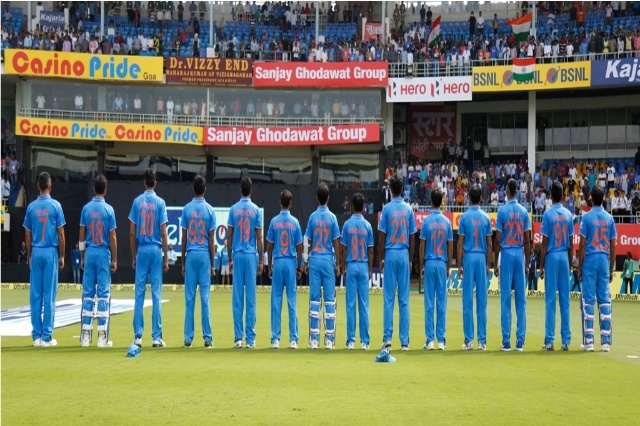 To make a powerful statement, one that can inspire millions and propel change, the Indian Cricket team sported jerseys with their mother’s names on Saturday during the concluding ODI of the India-New Zealand series. This symbolic gesture will champion the cause of women in a country which is ranked 130th out of 155 nations in the world on gender equality (United Nations Human Development Report 2015). This is precisely why the Indian government has launched several programs to further the cause of women and the girl child in India. On this historic game the Indian cricket team will serve as ambassadors of new thinking and use the power and platform of sport to drive meaningful social change.